You can buy these at Anthropologie for a pretty penny or you can make them on your own! 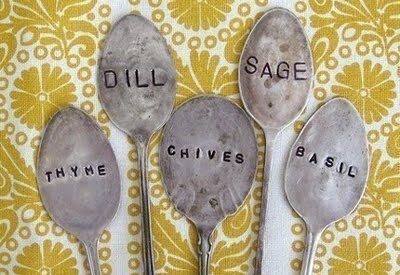 Every antique store has spoons you can purchase for about a dollar, then just hammer the spoon flat and add the herb names of your choice. How adorable. I can’t wait until spring and making this craft happen. For complete directions, go here.